Old marketing ways consist of one-way relationships. Normally, there is one party that has a product or service that they are trying to sell. The party then develops a generic message, which they broadcast publicly. This method is called outbound marketing; the company initiates the conversation and then pushes it out to whatever audience they can find. With outbound marketing techniques, there is no consideration taken in terms of who the target audience may be and how the message might be personalized to the target audience. Outbound marketing is selling a product by interrupting the public and not having meaningful targeted conversations with them. There are no exchanges of thoughts, ideas or feedback between the two parties. Examples of outbound marketing platforms are printed advertisement, magazines, newspapers, and radio. 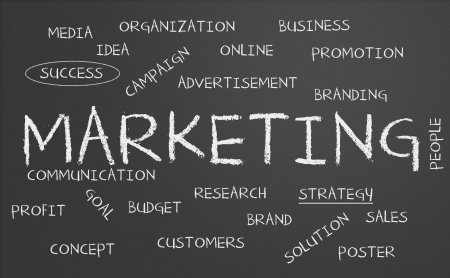 With the introduction of new technology such as the computer, the mobile phone and later the Internet, marketing took off into a completely new direction and inbound marketing gained traction. Inbound marketing is customer centered. It’s getting to know your target audience and personalizing your campaigns in a way that will attract the type of market you are going after. This method involves communicating with your audience and paying attention to what they want before providing them with a solution that will satisfy their needs. Businesses that practice inbound marketing techniques first try to figure out who their target audience is and who might be interested or benefit from their products. Inbound marketing involves listening to what this target audience has to say (questions, opinions, feedback) and thinking about how to personalize the message and content to fit the target consumers. Examples of inbound marketing platforms include search engine marketing, social media, blogs etc. Now that you understand what inbound marketing is, we’d like to take this method to another level. We believe that getting to know your customer is important for marketing, and we also believe that letting your customers get to know your business and its people is equally important. The focus is about building strong, lasting relationships between you and your customers. Showing your customers that your company and its people are just like you and me, normal people who have interests and who care about things outside of work. Once both parties are better acquainted with one another, strong, lasting relationships can be built between the two. With a conversation, you will be able to gain a more relevant and quality audience of potential customers. The potential clients coming to your business will be those who like and appreciate the way your company works and the values that are behind your business and employees. You will also be able to gain the trust and loyalty of your clients because they will feel more connected and familiar with your company. So next time remember, marketing is first and foremost about getting to know your audience and catering your product/services to their needs. But don’t just stop there, take your business a bit further and establish stronger lasting relationships by letting customers know your business and people who run it. Be sure to like and follow us on Facebook to see how Ready Artwork connects with their audience!